Premium rubber based adhesive suitable for a wide variety of materials, including wood, rigid PVC, cork, rubber and stone. 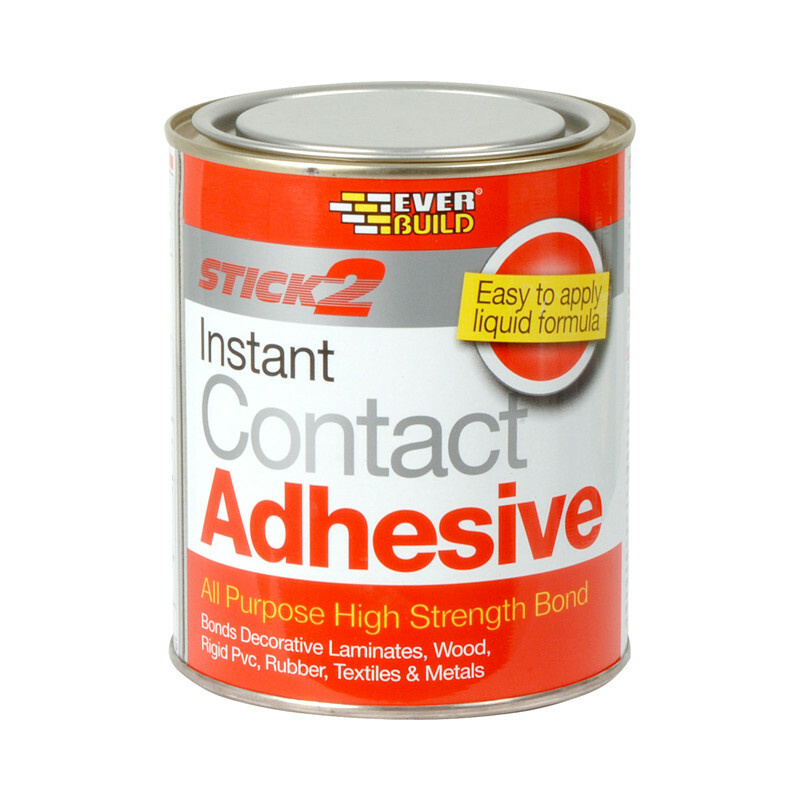 Contact Adhesive 750ml is rated 4.8 out of 5 by 25. Rated 4 out of 5 by Old dog new tricks from Good value adhesive Bought this to fit flooring to concrete floor. Works well, but difficult to spread, use a spreaser not a brush. Rated 5 out of 5 by Penny1970 from Excellent Does what it say on the tin. Rated 5 out of 5 by Silver Bird from "Super" glue This is by far the best glue I have ever used. Follow the instructions and you can't go wrong. Rated 4 out of 5 by Driftpin from Sticky Stuff It's like somebody managed to cross honey with snot. Once you get the hang of working with it, it's great stuff. Very sticky great stuff. Rated 5 out of 5 by Rod20 from Does what it says Used to stick down some wood block floor that had become loose. Done the job. Rated 5 out of 5 by TiggerDog from As good as the rest. Ended up at Toolstation as they are close and the price was very good. I have used the "proper" stuff loads in the past and this performs exactly the same, very chuffed.